No matter how a charity chooses to organize itself, it must have a clear statement of purpose that describes the reason for the charity’s existence. This is usually summed up in one or more paragraphs called object clauses or purpose statements. The purpose statements or object clauses need to be tailored to fit the unique nature of the work the charity will undertake. It is not acceptable simply to reproduce the above four principal areas of charity. If a charity decides to incorporate, the wording and format of the object clauses (or purpose statements) need to meet the specific requirements of the legislation under which the group is incorporating. It is possible to have approval from a provincial or federal authority that handles the incorporation and be rejected for charitable registration by CRA. It takes extra care to be in compliance at both levels. A charity must use all its resources for charitable activities, and these activities must be carried out by the charity itself. 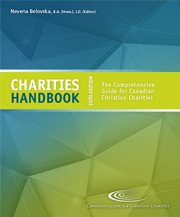 What makes an activity charitable is whether or not it is carried out to achieve the organization’s charitable purpose. As an exception, if a charity gives resources to a “Qualified Donee,” including another Canadian registered charity, the charity is still deemed to have spent the resources on its own activities. A Canadian charity cannot simply hand over resources to a Canadian or foreign individual or organization that is not a Qualified Donee. Failure of a charity to meet its obligations to direct and control its resources and activities exposes the charity to penalties and possibly the loss of its charitable status.